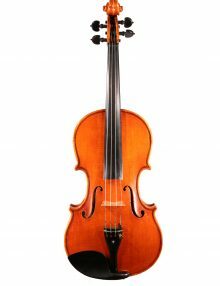 With the onset of this cold weather, it’s worth being prepared for the impact of changes in temperature and humidity on stringed instruments. Changes in temperature can cause a range of problems that without proper attention can get worse quickly. 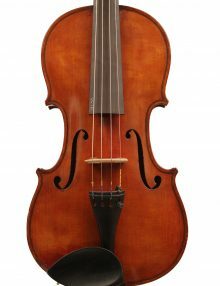 Being aware of changes in your instrument and bringing it to our highly dedicated and experienced team of professional luthiers if there is a problem will both ensure your instrument performs at its best and preserve it for many more years. 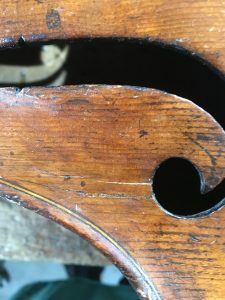 One of the most common impacts of changes in humidity is that a seam can open along the side of the instrument either on the front joint with the ribs or the back joint with the ribs. 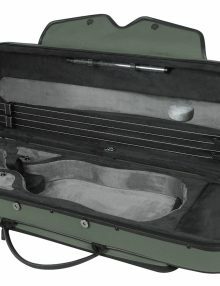 You may notice the open seam after hearing buzzing from the instrument when you play. Similarly, changes in temperature and humidity can also cause cracks to appear in the instrument. 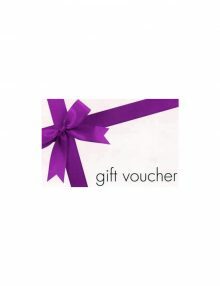 You may hear that your instrument is not performing as well as it should do or see a crack or white/light coloured line appear on the body or side (ribs) of the instrument. 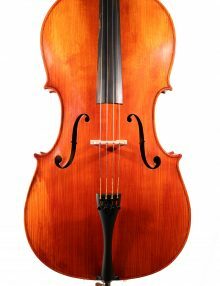 If you think that your instrument may have an open seam or crack, do not delay in bringing it in for a check-up. If you wait, the situation could get worse. Do not attempt to glue the crack yourself this could make the correct repair very difficult and cause possible loss in value. 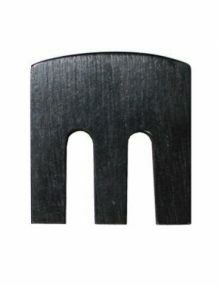 Another impact of humidity is on your pegs, where a change in humidity can cause the pegs to shrink or swell. When it’s very dry you may need to push the peg in a little more, when it’s very humid you’ll need to slightly pull out the peg. It may also be possible for you to paste the peg using Hill’s peg paste, which provides the correct grip that is needed for slipping pegs, or the lubricant needed for sticking pegs. Do this by removing the peg and apply Hill’s Peg Compound to the shiny parts of the removed peg. If problems continue with your pegs this may indicate that they no longer fit well in the holes of the peg box. Bring your instrument in for a check-up. A drastic change in humidity can in some cases cause your soundpost to fall down. 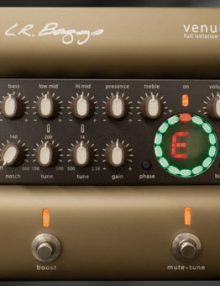 If this happens you’ll most likely hear it rattle around noisily inside your instrument and the tone/volume will significantly reduce. If your soundpost falls down, wrap some cloth e.g. 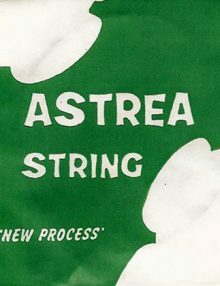 a scarf around the bridge, loosen all of the strings to remove the tension off of the instrument and avoid compressing the front. Bring the instrument as soon as possible in for repair. Occasionally a new soundpost may have to be cut. 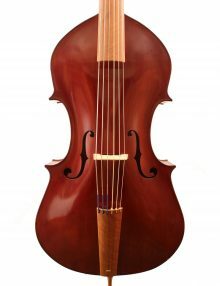 We have recently had two beautiful cellos in our workshop which have required the expert attention of our experienced team of luthiers because of the impact of humidity changes. 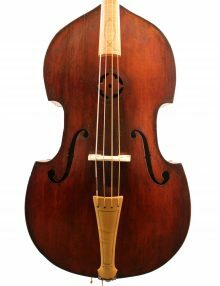 The first, a cello c.1750 by London based maker Henry Jay had a very low bridge which was the result of the owner travelling extensively on tour in different climates, and the instrument consequently shifting. 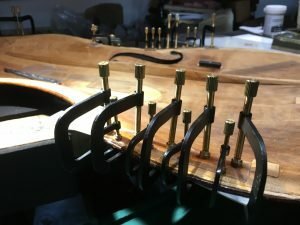 We made the cello a new baroque bridge to restore the optimum sound quality for performance and may yet need to make a ‘summer’ counterpart bridge for the instrument. Henry Jay himself worked very close to Thomas Chippendale’s workshop in Covent Garden, and was renowned for his meticulous craftmanship. It gives us great pleasure, nearly 300 years later to ensure that this refined instrument continues to play to its full musical potential. 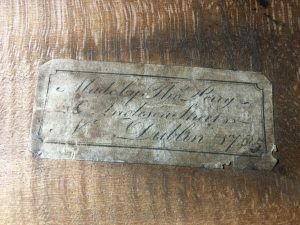 The second instrument is a cello c1785 from the maker Thomas Perry who was making in Dublin in the mid-late 1700s. He is perhaps the best-known name in Irish lutherie and partnered with William Wilkinson to form Perry and Wilkinson. 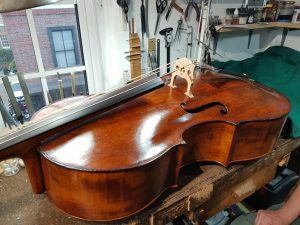 This wonderful cello belongs to eminent cellist Jacqueline Thomas of the Brodsky Quartet, who brought it in with a buzz that needed resolving. The Brodsky Quartet had been on tour which had included a performance in a very dry, warm concert hall where the temperature outside was very cold and it had also received a knock while travelling. 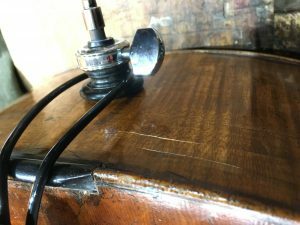 In order to ensure all the issues caused by the lack of humidity and the knock were dealt with we had to open up this precious instrument and undertake a thorough and fastidious investigation. 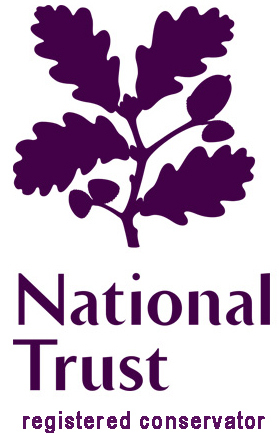 Our focus is always on minimal intervention and maintenance of original material wherever possible thereby preserving the integrity and value of the instrument. In this case we found that the instrument had a number of cracks, including a F -hole wing crack and a multiple crack on the ribs. There was also some missing wood where the belly was glued to the ribs from historic attempts at repair (not uncommon for an instrument of this age). It was also carrying inside a heavy old-fashioned wolf eliminator. 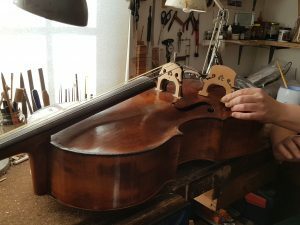 Our experienced team worked to repair the cracks, remove the wolf eliminator and shape a new bridge for the cello. We also restored the area of damaged wood. We’re delighted to hear from Jaqueline that her cello is now back to performing at its best – in her own words, she has a ‘happy’ cello again. Do not hesitate to contact us if you think that your instrument may be suffering in the changes of temperature and humidity. We are well equipped with the tools necessary and expertise to make and carry out all repairs and restorations both minor and extensive. 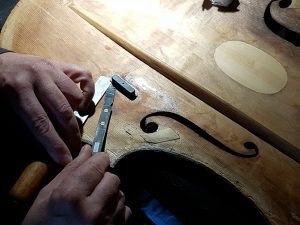 Our luthiers are highly experienced, dedicated professionals, recruited from the top violin-making schools around the world; our knowledge is acquired from years of experience and is transferred from generation from age to age in an ethos of sharing and apprenticeship. 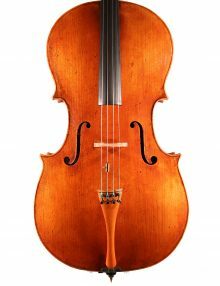 We pride ourselves in the repair and restoration of every instrument that comes into our workshop so every instrument in returned to its owner in the best condition.